One of my favorite things growing up was to eat conversation heart candy at Valentine’s. I can remember playing games with my girlfriends and setting aside ones we would like to give certain boys in the class. We never did. We also tried making sentences out of them. Then, of course, we’d eat them. They were made by NECCO who made the popular wafer candy. I ate those a lot as well, and my favorites were the chocolate and licorice flavors. I had no idea the candy had been around as long as it had until I read there wouldn’t be any of hearts available this Valentine’s Day because the company had been sold. So, I started doing a little research to learn more about the candy that had been around for well over a century. The history of the candy dates back to 1847 when Oliver Chase came up with an idea for making candy wafers. He invented the candy-cutting machine that sliced rolls of chalk-like candy into thin wafers. The conversation hearts came about when Oliver’s brother Daniel invented a machine in 1866 that could press dyed letters into candy wafers in the shape of hearts. They became the best selling non-chocolate Valentine candy. Necco, the company making the wafers and hearts, is the oldest candy company in the country beginning in 1847 although it wasn’t named Necco at that time. It moved from Boston to Cambridge to Revere, Massachusetts, where the candy then joined forces with two other Boston-based candy makers to form the New England Confectionary Company to produce several different types of candy and bars, one of them being the popular Clark Bar. 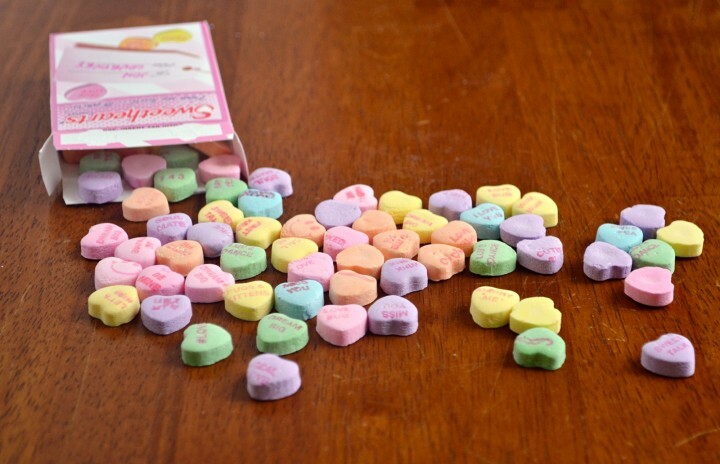 By the bag or by the box, the candy hearts sold over a billion of the candies every year. Here is a plastic container filled with the larger hearts. The sayings on the hearts change with the times although some are timeless. The changes reflect changes and trends in language and communication. Phrases like Be Mine and Sweet Pea are always included, Fax Me or Dig Me of the 80’s and 90’s give way to newer, better phrases reflecting changes in electronics and social media. This picture shows both the larger, thinner heart and the thicker, smaller heart packed in the red plastic hearts that are collectible. I’ve saved a few of these red hearts in my time. New flavors were added as public taste changed as well. Some were bolder and fruitier with flavors like orange, grape, strawberry and green apple added. Watermelon and tangerine have also been used as well as pink lemonade. For so many of us, it just wouldn’t be Valentine’s without Sweethearts, but we’ll have to do without this year. Because of financial hardships, Necco sold to an investment firm, American Capital, in 2007. They still made the candy, but the losses continued to weigh them down until 2018 when the company declared bankruptcy. Round Hill Investments purchased the company in May of that year with high hopes for a rebound and profits soared. However, that company closed down in July with workers laid off and the candy machines silenced. Necco Wafer’s reign as the country’s longest-running, continuously operating candy factory. Most of the candy lines were then sold to other manufacturers. The Spangler Candy Company of Ohio purchased the Necco Wafer, conversation hearts and Canada Mints. They announced they would make the candy and have them for the 2019 market, but that didn’t happen with the conversation hearts. Plans are now for the Sweethearts to be available again in 2020. A few candy stores, seeing the shortage coming, ordered extra and will have a few available this year, but they will go fast wherever they turn up. I'm giving away a copy of this collection in a drawing from those who answer the question or make a comment and leave their email address. Do you have any special memories of Sweethearts? Did you know they'd been around for such a long time? Thanks to the New England website with the history of Necco and Sweethearts. My novella is titled from one of the conversation hearts sayings, BE TRUE. and is in the collection, Valentine Matchmakers. 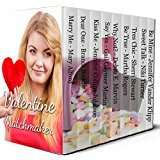 This delightful collection of historical and contemporary romances contain couples not looking for romance, but with the help of a matchmaker find love on Valentine's Day. 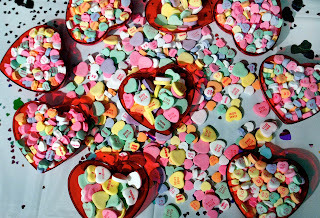 Each story is titled from an actual candy heart and plays a major role in the romance. Sit back, relax, and enjoy these stories of love. 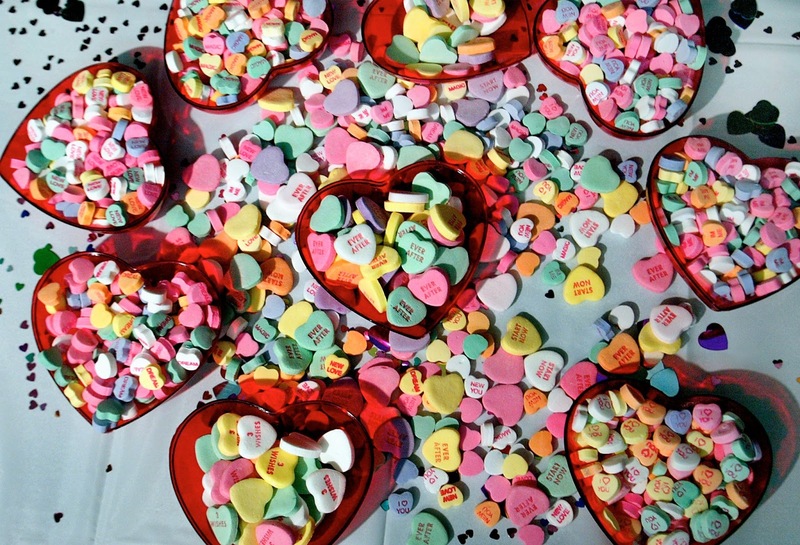 I do remember the hearts from my childhood, and here in Maine the shortage/end of the conversation heart was widely publicized. Thanks for the post! Thanks for stopping by Connie. I do need your email address to enter you into the drawing. 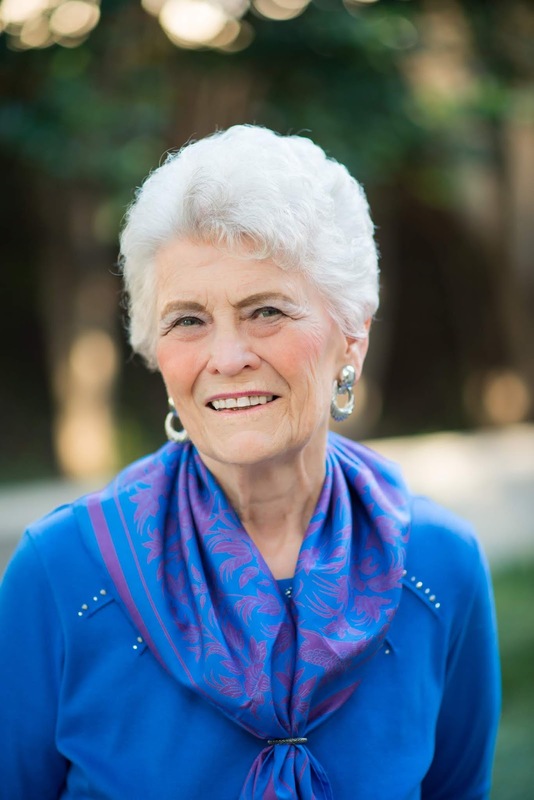 I did read about the giveaway, Martha. Thanks for your generosity, but I'll decline this time. 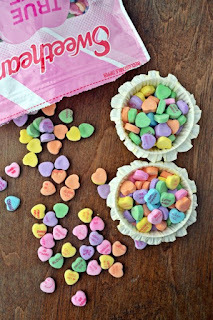 Sharing those little boxes of valentine hearts has been a fun thing to do since I was a little girl. Happy Valentine's Day! Thank you, Melissa. Happy Valentine's to you as well. I do need your email to enter you into the drawing for the book. Just give me my chocolate and everything will be alright. Oh, yes, I do love those chocolates. Happy Valentine's to you. I do need your email address to enter you in the drawing for the Valentine book. I still love those little hearts even though I prefer chocolate. Happy Valentine's Day to you, too. Thanks for stopping by.